Learn more about EFSC's role in this national initiative to fight violence and how you can take part. Ready to explore Eastern Florida? 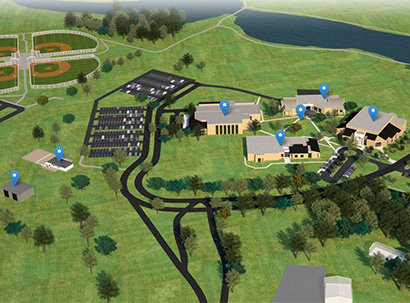 Get a sneak peek of the Titusville Campus with our new virtual video tour and interactive map. Click to get started today! One-on-one attention from instructors and advisors, plus a beautiful natural setting, make Titusville Campus a friendly atmosphere for learning. Modern classrooms and laboratories, along with strong support services and caring faculty and staff, help Titusville students achieve academic and technology goals. Titusville Campus specializes in information technology and environmental, natural and life sciences, supported by proximity to Kennedy Space Center and the Canaveral National Seashore. Titusville shares a campus setting with Parrish Medical Center and is just next to Chain of Lakes Park, featuring beautiful lakes, nature trails, observation towers, ball fields and more. 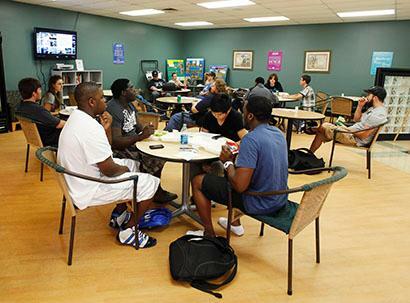 EFSC's Titusville Campus, strategically located in North Brevard County, offers a caring, learning-centered environment. Our beautiful, 120-acre campus lies peacefully on the Indian River Lagoon waterfront, right next to the Chain of Lakes park, and we are just a stone's throw from the Kennedy Space Center, the Merritt Island Wildlife Refuge and the Canaveral National Seashore. For a personalized college experience and a friendly atmosphere for learning, consider classes at the Titusville Campus.The campus offers general education classes leading to the A.A. degree and career/vocational program classes, including Office Technology and Nursing. Students are able to select various methods of course delivery, including traditional face-to-face, hybrid and online. 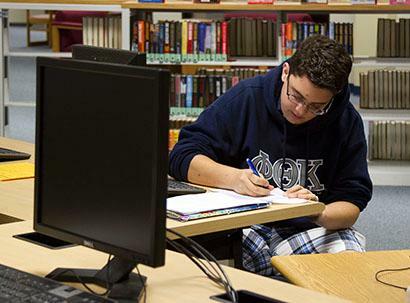 This intimate campus setting provides outstanding student support services that complement the academic environment. 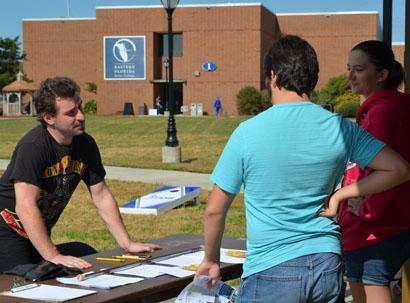 The dedicated family of the Titusville Campus will help ensure that all students have an exemplary academic experience and achieve their goals. So come on home to the Titusville Campus and begin living your dreams! Annie Smith is doing a study of St. Augustine's Fort Mose, the nation's first community of freed ex-slaves, and using her research to help revitalize African-American History courses on the Titusville Campus.